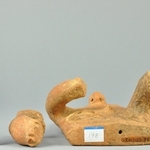 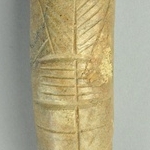 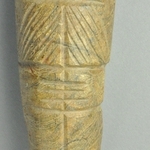 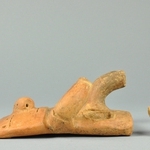 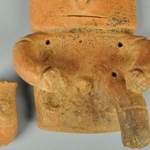 Clay figurine of seated male with square head and body, simple legs and one arm curved down and proper right leg missing. 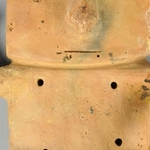 Straight incised mouth and eyes. 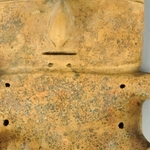 Large nose. 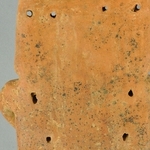 Reddish surface color. 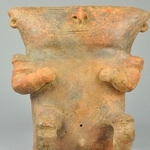 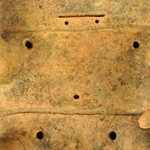 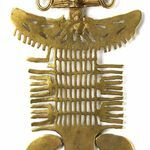 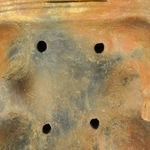 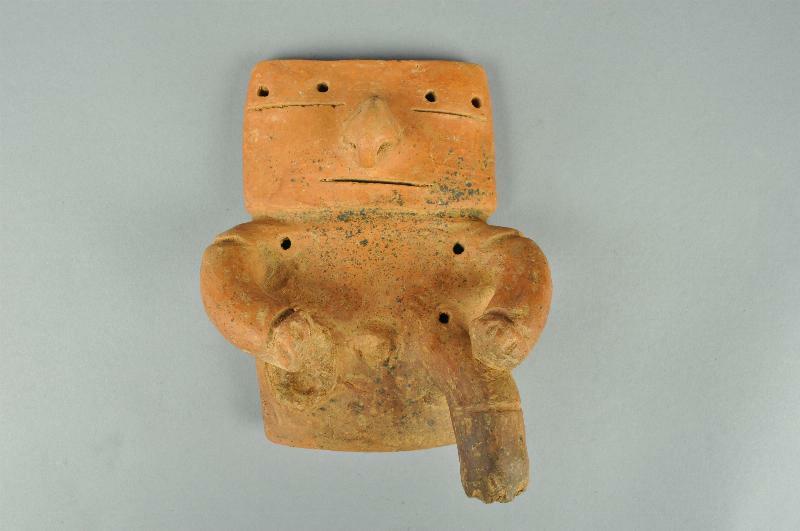 Three holes punctuate torso and four across headdress.